Ed has over thirty years of diversified experience in public accounting, including considerable experience in auditing financial institutions, securities broker/dealers and insurance companies. These companies are both public (SEC) and privately held. He has participated in public offerings and private placements, as well as mutual to stock conversions. He has consulted and assisted in the formation of over fifty denovo banks. 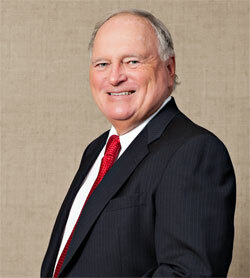 Ed is a CPA in Florida and services clients from all of our Florida offices. He has also worked in the accounting division of the Office of Thrift Supervision in Washington, D.C. His duties included reviewing '33 (mutual to stock conversions) and '34 Act filings with the Office of Thrift Supervision. Ed is a graduate of the University of South Florida where he received a Bachelor of Arts Degree in Accounting.